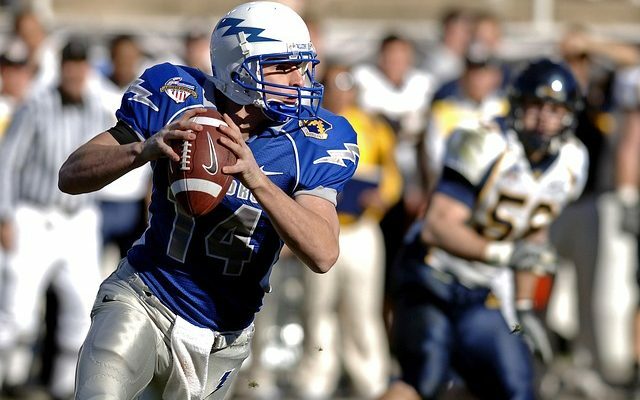 If you’re like most avid sports fans, you’ll do anything to stay connected to stream live games, particularly if the team you’re rooting for is playing. The great thing about technology is that you can now travel anywhere and still enjoy the thrill of watching games in real time using sports streaming apps on your iPhone. You’ll get the live scores, follow your favorite team, and know the latest updates. So, whether it’s the season for NFL, EPL or NBA, you’ll never have to miss the action or wonder who’s winning. Here are 7 iPhone apps you can choose from when you’re not in front of a TV. ESPN, the undisputed king of sports coverage, keeps you updated with its ESPN live sports app for almost any sports around the globe and all major leagues. Get real-time scores and breaking news and customize content to teams or sports league you want to follow, or view live programming from their station. This is the one app that sports fanatics should have on their iPhone. The free Live Sports TV HD streaming app gives you HD and stable streaming for football, hockey, wrestling, cricket and boxing. It boasts of streaming the FIFA World Cup 2018. However, slow connections result in low-quality streaming but instant support is promised. The Sport TV Live app gives you the option to watch your favorite sports live stream or on demand anytime and anywhere. Customize your notifications for games, scores, news and highlights, and predictions. It has more than 70 sports stations and covers all major leagues and sports in the US, Europe, UK and Asia. If you’re in a restricted location during a championship game, you can still watch live streaming of the match on your laptop so you won’t have to wait for delayed news of the results. With this app on your iPhone, you can stream football games and be updated on scores, highlights and daily news. You can also get betting tips and predictions. Watch selected games on the app and never miss the Superbowl, World Cup, or an NFL or Premier League match again even if you’re travelling. Asian and Dubai sports are also available on this app. For NFL and NBA fans, the Yahoo Sports app is for you. Stream live regular season games and for the NBA season, the app will offer the NBA League Pass so you can stream live out-of-market NBA games on your iPhone or iPad. Yahoo Sports is not limited to US leagues and football and basketball. You can watch Premier League games and other European sports confederations’ games. It carries PGA and other golf tournaments, auto racing, MMA and tennis. You can set news streams for your favorite teams, and get their schedules, updates, scores, stats and news. With a whole lot more features, it’s no surprise that Yahoo Sports is the No. 1 sports app for iOS devices. A unique feature of the beIN Sports Connect app is its extensive coverage of the games in English and Spanish. Live streaming is available anywhere anytime for international matches. It broadcasts in two languages and includes game highlights, analysis and opinions of known personalities in sports. BeIn Sports allows access to its 11 channels wherever you are in the world. The Livestream app is not exclusive to sports. You can stream professional or personal events as they are happening. This goes for news, music and other aired events. You can also view them on Chromecast, Roku and Apple TV. And there’s more. You can broadcast live from your iPhone to viewers watching on most social media networks. There’s a built-in chat to let you engage with your followers, too.